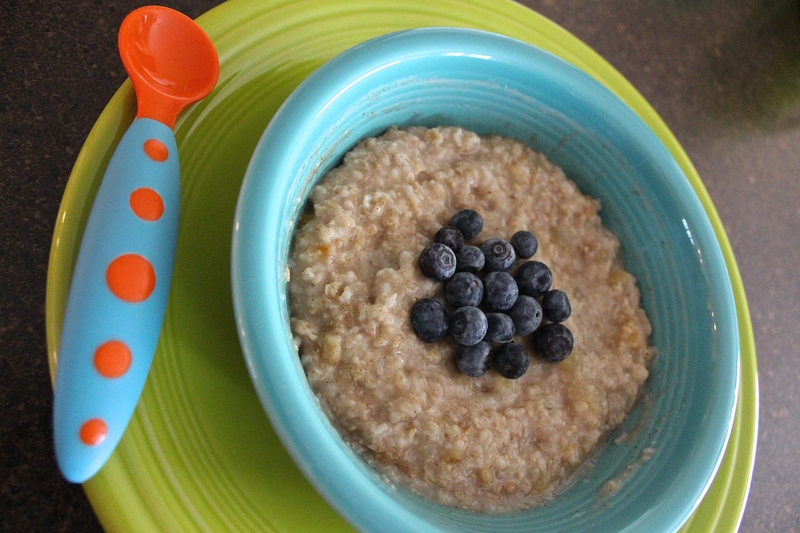 Babies eating solids, toddlers and kids on up!! It’s sometimes a struggle to make a healthy meal first thing in the morning. If your child is anything like my son, he wants food RIGHT when he wakes up. Gee….I wonder where he gets that from 😉 So this was my attempt at giving myself some motivation to switch it up with healthy options. It’s so easy to just grab a yogurt or make a quick piece of buttered toast, which I’m learning is just going to have to be okay sometimes! But I also want to make an effort to give my son healthy eating habits. 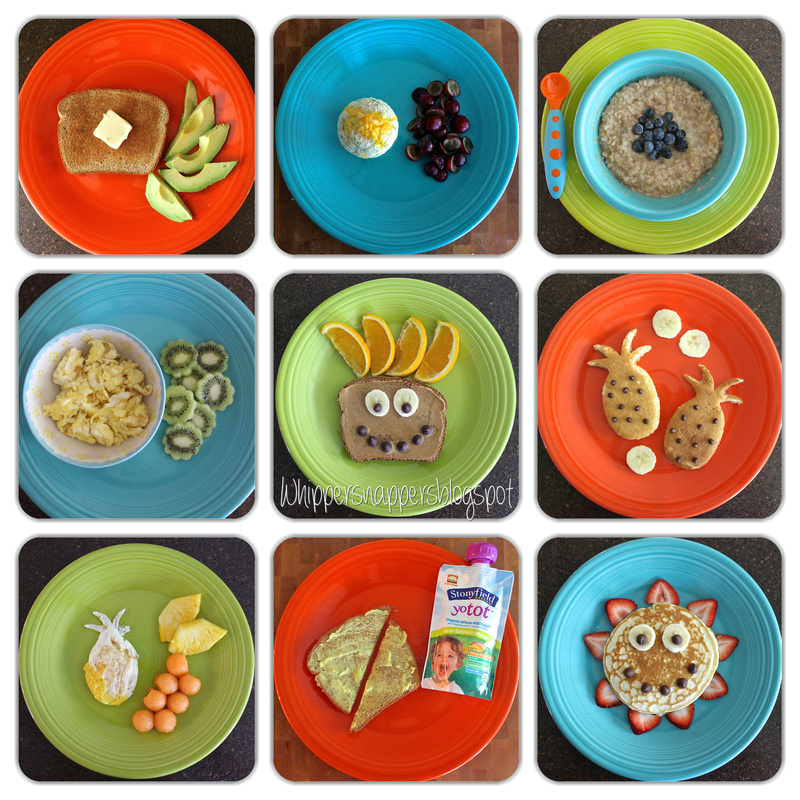 It can be hard serving kids healthy meals when they are picky! Especially toddlers who love something one day and are totally disgusted by the exact same thing the next! My son is so hard to feed sometimes. One night he CHOWED down on sesame chicken, white rice and crab rangoons (I was shocked to say the least!) and the next night turned his nose up over simple spaghetti. Anyway…I do my best with feeding him healthy meals as much as I can! What’s nice about these breakfast ideas is that they are really simple! Nothing too complicated or time consuming here! 1) Simple buttered toast with slices of avocado. One of the easiest! My go-to breakfast with my son. 2) Breakfast pancake muffins with grapes. These pancake muffins were so easy to make and you can make them up ahead of time, stick them in the fridge or freezer and simply pop one out anytime you want! To see my recipe for them click HERE. You can add in anything you want such as blueberries, banana, spinach, etc. Bananas are a great add-in as well along with some cinnamon. Another one of my son’s favorites. He’s OBSESSED with blueberries. I prefer using plain cooked rolled oats versus instant oatmeal and just adding in whatever I want. 4) Scrambled eggs and kiwi. Obviously they don’t have to be pineapple shaped! But have fun with it and make pancakes into shapes or characters! This is definitely not a talent of mine. 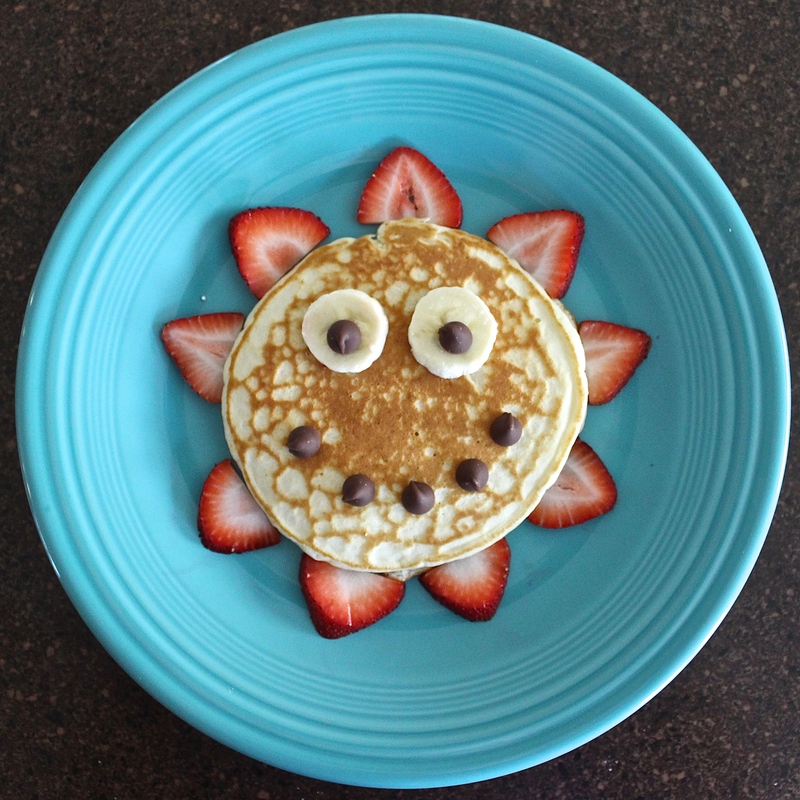 I’ve seen videos where people make faces or detailed images with pancakes…crazy! 7) Eggs (switch it up from scrambled!) with cantaloupe and pineapple! If you’re using an avocado that is in a really soft stage (or you can just mash it up) its perfect for spreading on toast. It’s considered a healthy fat and a super food! Clearly I just like making faces out of food! I think I’m still a kid myself! 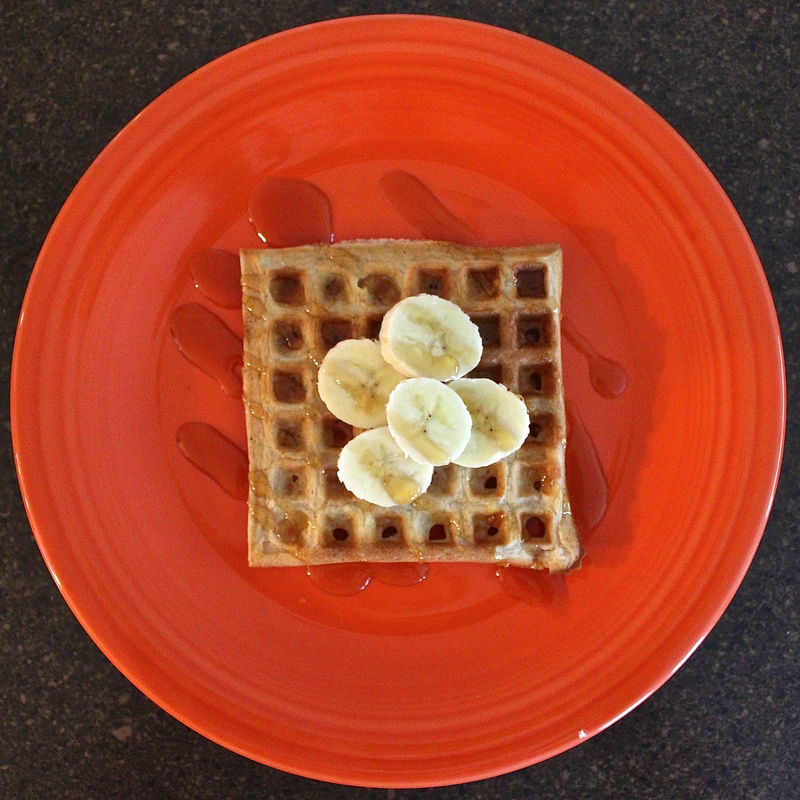 Switch it up with waffles too! Add fruit or shredded spinach for added nutrients as well. Another fantastic option…Smoothies!!! Here are some great smoothie recipes! Click on Healthy Smoothies in the menu for more smoothie ideas!